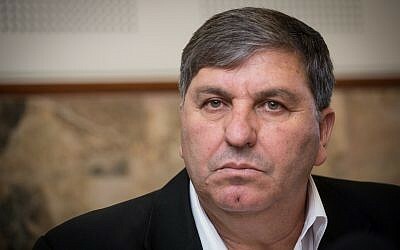 The chairman of KKL-JNF Jewish National Fund on Wednesday launched a blistering attack on a group of anonymous investors who bought large tracts of prime real estate in Jerusalem from the Greek Orthodox Patriarch. The deal has plunged more than 1,000 homeowners into uncertainty because they sublease the land on which their homes are built from KKL-JNF, which currently holds the primary leases. In a letter to the residents of Talbieh and Nayot, Daniel Atar charged that the representative of the investors sent a letter to KKL-JNF last week threatening to cancel the current lease, which runs out in the early 2050s. “There is no doubt that the government of Israel cannot allow a situation in which veteran residents are at the mercy of a group of private investors (whose identity is not completely known), without any regulation of the matter,” A KKL-JNF spokesperson told The Times of Israel. Avraham Aberman, a partner at Ephraim Abramson, who represents the investors, hit back Wednesday, telling The Times of Israel that the threat was delivered after the KKL-JNF had failed to pay lease installments for more than 10 years, and that the contracts inherited from the Patriarchate provided for the landowners to cancel the leases if the dues were not paid within three months of a warning, although without harming homeowners’ rights. 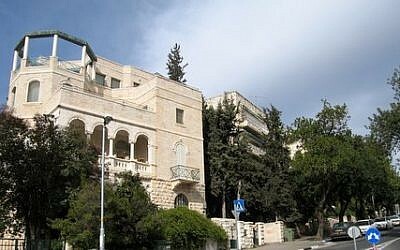 At issue are 570 dunams (140 acres) of land in the upscale neighborhood of Talbieh, in central Jerusalem, as well as the neighborhood of Nayot, extending into large parts of the Valley of the Cross, a rare tract of undeveloped land in the center of the capital, revered as the place where – according to Christian tradition – the wood was taken to make the crucifix for Jesus. It also includes much of the Israel Museum and well known hotels such as the Inbal and the Dan Panorama. The land was sold by the Greek Patriarchate to a group called Nayot Komemyut Investments in 2016. The only known investor in the group is the Ben David family of Jerusalem, which owns less than half the shares. The Ben Davids invest in real estate and oil exploration. If the leases are not renewed when they run out in the early 2050s, the homeowners who have not sold by then risk being forced to leave, to pay potentially high prices to extend leases or even to rent their own homes. The prices of their homes have already been negatively affected. The situation is new because for the last few decades, the church has only leased land, not sold it. Avraham Aberman said the real story was quite different. “We sent them many warnings, but they dodged and avoided them. In the last warning, which we sent in June, we demanded the payments again and warned about the sanctions available to us. “More than a month later, we got a letter which basically said that the didn’t recognize Nayot Komemyut Investments and they sent me a check – for a sum that is the subject of disagreement — made out to the Patriarch! “That check bounced and we reminded them that they knew full well that we had acquired the rights, that they had seen the agreements, and to stop acting smart. Aberman charged that while the annual lease payments amounted to just $34,000 on all the land, KKL JNF was profiting from the subleases. It was also failing to tell the residents that it had been offered attractive terms for lease renewals over many years, that concerned residents had turned to it but had not been given proper responses, and that it had told the investors, after breaking off negotiations, that it would be back in touch after 2050. The main initiative to advance legislation to protect residents is being driven by lawmaker Rachel Azaria (Kulanu). 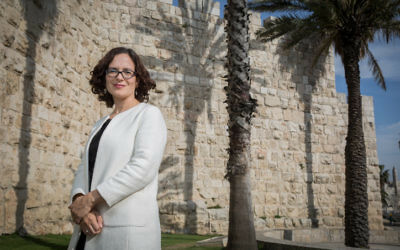 Just before the start of the Knesset’s summer recess, she signed 40 MKs onto a private members’ bill to allow the state to confiscate land that has been sold. The confiscation would take effect from January 1, 2018, and the private investors would be compensated. She plans to submit her bill to the Knesset’s Ministerial Committee for Legislation in the coming weeks. The church, one of the country’s largest landowners, owns tens of thousands of dunams (acres) of land around the country. Some of its holdings are in sensitive areas such as city centers and antiquities sites, including the land the Knesset is built on in Jerusalem. In all, churches own about 100,000 dunams (24,000 acres) in Israel. 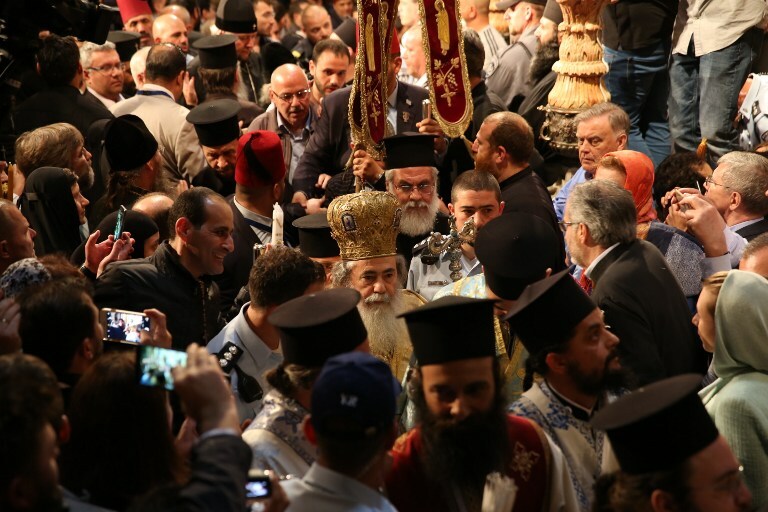 But while they are wealthy in land, they are short on cash flow, largely because of decreasing support from a declining Christian community in the Holy Land. 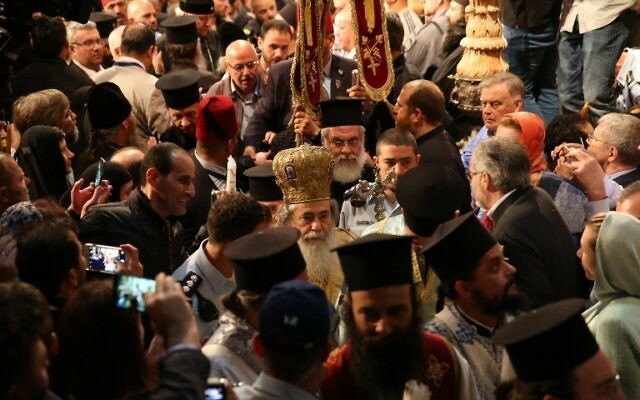 Recent media reports have exposed sales of Greek Orthodox Church land to private investors elsewhere in Jerusalem, at an antiquities site in the coastal city of Caesarea and around the iconic clock tower in Jaffa. 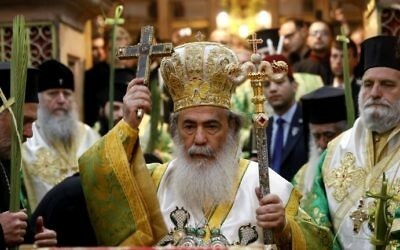 On Monday, in a highly unusual move, the main patriarchs and heads of churches in Jerusalem issued a joint statement to condemn what they called “recent further encroachment on the status quo” and to ask governments and church leaders and followers around the world to extend their support. 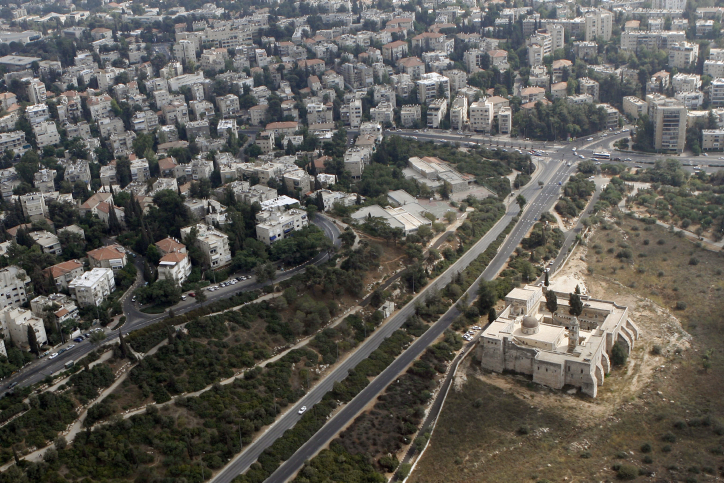 In response, MK Azaria stressed that her bill was aimed solely at protecting the residents.